Restoration of the 18th century Hotel Talleyrand began in 1980. The aim of the renovation was to provide efficient, modern, flexible office and gallery spaces while retaining the historic fabric of the structure. The final design met the building's program requirements, preserving 6,000 square feet for museum and exhibit space and maintaing relative invisibility for the 20th-century infrastructure essential to the building's modern use. 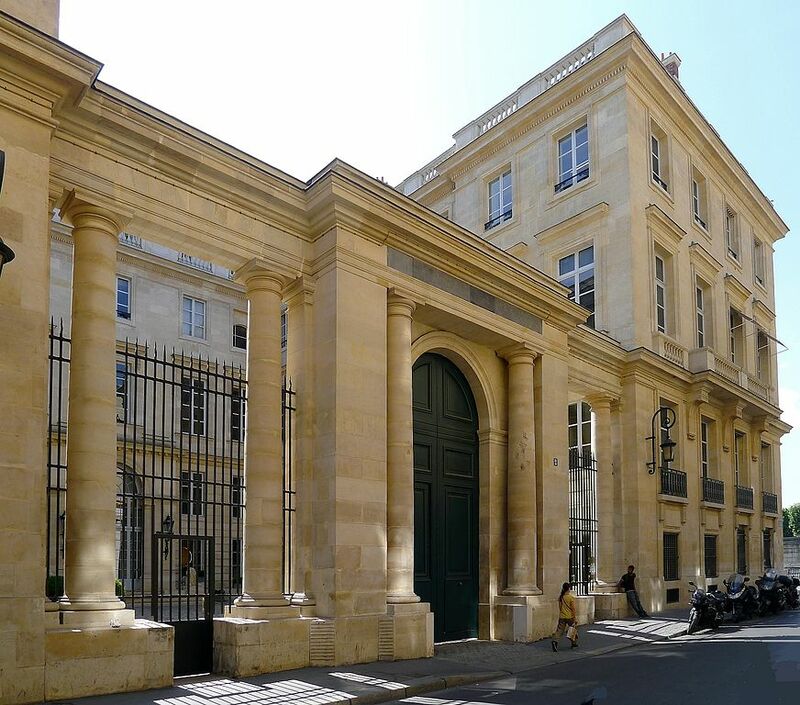 Since seven of the Hotel Talleyrand's eight facades are under the control of the Historic Monuments Commission of the city of Paris, any exterior modification had to be approved. Interior renovation required a review by the U.S. Department of State's Office of Foreign Buildings. A monument to 18th-century French architecture, the Hotel Talleyrand overlooks the Place de la Concorde and was built in 1767 after a design by Ange-Jacques Gabriel, architect to Louis XV. The interiors were designed by Jean-Francois Chalgrin. The building was the principal residence of Charles Maurice de Talleyrand, famous for his role in late 18th and early 19th century French politics, primarily the rise and fall of Napoleon. From Talleyrand's death in 1838 until renovation began in 1980, this60,000 square-foot incursions, and defilements, variously serving as a Belle Epoch residence, as a World War I hospital, as a German naval office during the Second World War, and as headquarters for the U.S. Marshall Plan in the 1950s. It now serves as an important part of the United States Embassy in Paris.